If you eat whatever you want whenever you want it, you have at least a 31% chance of being killed from heart disease. Here’s how to dramatically lower those odds by changing what you put into your mouth. This is an excerpt of a chapter on heart disease from a book I'm writing about extending healthspan, possibly lifespan as well. To make my blog publication date, I didn't have time to deal with the ornery footnotes here, but know that every claim is substantiated. My thanks to Dr. Michael Greger for the thematic points and approach to this topic. HEART DISEASE is this the world’s number-one killer and its weapon is the fatty deposits in the walls of your arteries called atherosclerotic plaque. According to the World Health Organization, 17.9 million people die every year from heart disease, 31% of all deaths. That works out to thirty-four people every hour. If terrorists created a virus that killed that many people, you would be inundated with the news and governments would commit significant human and financial resources to destroy the perpetrators and quell the pandemic. Apparently, deaths from heart disease ignite no such response, even though stopping so many deaths requires nothing more than eating differently. Least you think you’re invulnerable to any sort of heart disease, know that by age 10 it’s already starting if you live in the industrialized world and eat the standard fare there served. And should you be so unfortunate to die from heart disease, it will happen suddenly and often without warning. It’s called “sudden cardiac death.” This is when the very first symptom may be the last, because death occurs within an hour of symptom onset. In other words, you may not even realize you’re at risk until it’s too late. 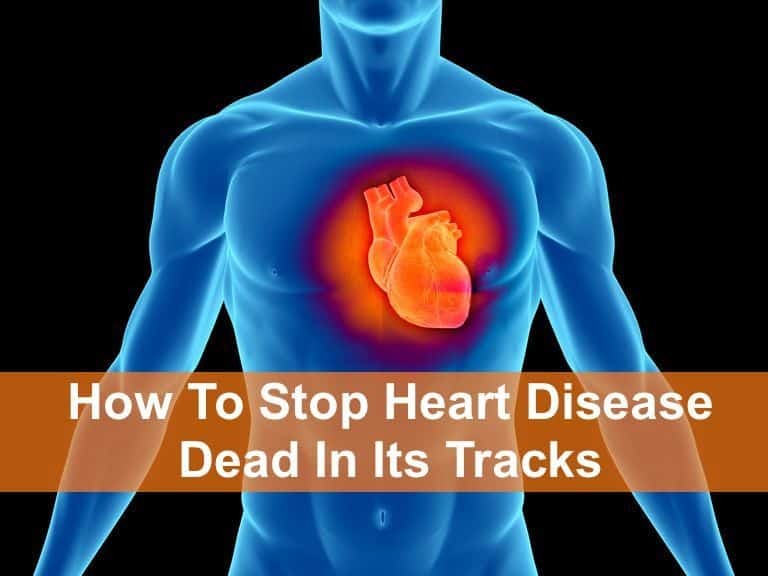 Like all so-called chronic diseases that kill us in old age, heart disease takes time to become deadly and is thereby considered to be a disease of old age. For most of those living in the industrialized world, this is true, but it need not be. Just as most of us don’t consume enough alcohol to die from liver poisoning, we can avoid the trans fat, saturated fat, and cholesterol-laden foods that clog up our arteries. But to do that, SAD needs to be scuttled. “SAD”, the “Standard American Diet” (also called the Western Pattern Diet) is a modern dietary pattern characterized by high consumption of red meat, processed meat, pre-packaged foods, butter, fried foods, high-fat dairy products, eggs, refined grains, potatoes, corn, high-fructose corn syrup and high-sugar drinks. Plaque accumulates inside the coronary arteries of people whose diets are SAD. This buildup of plaque, known as atherosclerosis, the hardening of the arteries by pockets of cholesterol-rich gunk that builds up within the inner linings of the blood vessels. This build up occurs over decades, slowly bulging inside the arteries where blood must freely flow. If the plaque ruptures, a blood clot can form within the artery, block blood flow and cause a heart attack that can, damage the heart, killing part of it, or all of it — and you. Given that That heart disease is not a consequence of getting old is evidenced by those living in parts of the world where this disease is rare.There are large parts of the world where the epidemic of coronary heart disease simply didn’t exist in the past and doesn’t now. In Guizhou province, China, a region comprising half a million people, not a single death could be attributed to coronary artery disease among men under sixty-five. Could their diet he the reason? Their fat intake was less than half that in the United States; fiber intake was three times higher; and animal protein intake was about 10% of the U.S. intake. Coronary artery disease mortality among these people were inversely associated with the consumption of green vegetables, plant protein, legumes and monounsaturated fatty acids (vegetable oils), but positively associated with salt and animal protein intake. In comparison to these Chinese, American men had nearly 17 times and women nearly 6 times greater incidences of coronary artery disease. In effect, the researchers concluded that the difference was SAD versus plants. Guzihou province is not the only heart disease free zone in the world. Medical doctors working in Uganda, an eastern African nation of millions of people, found that coronary heart disease to be nearly non-existent. Was that because these poor people were dying from disease too early in life to incur a disease of old age? No, autopsies proved otherwise. Doctors compared 632 autopsies of Ugandans to the same number of Americans in Saint Louis, Missouri who died at the same age. The number of Americans who suffered heart attacks was 136; the number of Ugandans, zero. Intrigued, the doctors examined another 800 deaths in Uganda. More than 1,400 Ugandans autopsied and only one exhibited a small lesion in the heart that had healed and didn’t cause death. Moving from China and Africa to the Amazon, we find the same evidence of a rural population with an extraordinary low incidence of heart disease compared to industrialized societies. The Tsimane are a forager-horticulturalist population living on a tributary of the Amazon River in Bolivia, and have the healthiest hearts in the world, say researchers. The researchers studied 700 of the Tsimane. They scanned their arteries, testing for cholesterol in their blood and glucose. They measured blood pressure and looked for evidence of inflammation. Calcium in the blood vessels was a particular focus, because it’s a signal that artery-clogging fat has built up and hardened into plaques, which can break off and cause heart attacks and strokes, but nearly none was found. An eighty-year-old Tsimane has about the same heart and artery health as the average American in his or her fifties, the research team reported, giving them the lowest reported levels of coronary artery disease of any population recorded to date. These three examples of rural populations consuming traditional diets and having extremely low incidences of heart disease is not because of some genetically-empowered immunity. Immigration studies show that when people move from low-risk to high-risk areas, their disease rates skyrocket as they adopt the diet and lifestyle habits of their new homes. The extraordinarily low rates of heart disease in rural China, Africa and South America have been attributed to the extraordinarily low cholesterol levels among these populations. The diets of rural Chinese, Africans and South Americans are different, but there’s a common thread weaved through them all, plants. Their diets consist mostly of plant-derived foods (vegetables, legumes, whole grains) rich in fiber and low in animal fat, contributing to total cholesterol levels averaging under 150 mg/dL (8.3 mmol/L) for the Chinese and Africans, and no calcification in the arteries of 85% of the Tsimane population. It appears that heart disease is a choice, and we make it each time we decide what to eat. And now, after having read this, you can choose to ignore what you’ve learned or make a conscious decision to understand the health consequences of what you consume. Just as we (hopefully) limit alcohol consumption, so that we’re not always drunk and killing our liver, we can likewise avoid or limit the trans fat, saturated fat, and cholesterol-laden foods that clog up our arteries. Let’s examine the progression of coronary heart disease throughout life and see how simple dietary choices may prevent, halt, or even reverse heart disease before your ticker is silenced. To glean how heart disease begins we return to autopsies, from which was learned that although this disease is considered an old age disease, it gets its start in childhood. In 1953, medical researchers performed three hundred autopsies on Americans killed in the Korean War. Their average age was twenty-two. The results dramatically altered our perception of how heart disease develops. Evidence of coronary atherosclerosis was seen in 77% of the soldiers, some having arteries that were 90% blocked. These autopsies proved that atherosclerotic changes (the build-up of fats, cholesterol, and other substances in and on the artery walls) appear in the coronary arteries decades before the age at which coronary heart disease becomes a clinically recognized problem. That was the takeaway from twenty-two year-olds. But the seeds of heart disease begins even earlier. Studies of accidental death victims between the ages of three and twenty-six found that fatty streaks— the first stage of atherosclerosis— were found in nearly all American children by age ten. As our second and third decade unfolds, these fatty streaks can turn into full-blown plaques like those seen in the young American GIs of the Korean War. By the time we’re forty or fifty, the plaques can become deadly. If you’re older than ten, the decision you need to make isn’t to eat healthier to prevent heart disease, but whether you want to reverse the heart disease that already exists to some degree, or not. William C. Roberts, M.D. has been the Editor-in-Chief of the American Journal of Cardiology for over thirty years. He’s also the Executive Director of the Baylor Heart and Vascular Institute and has authored more than a thousand scientific publications and written more than a dozen textbooks on cardiology. This impressive heart expert says that the only critical risk factor for atherosclerotic plaque buildup is cholesterol, specifically raised LDL cholesterol in your blood. You could be an obese, diabetic, smoking couch potato and still not develop atherosclerosis, Dr. Roberts argues, as long as the cholesterol level in your blood is low enough. LDL is referred to as the “bad” cholesterol because it transports cholesterol into your arteries. Autopsies of thousands of young accident victims have shown that the level of cholesterol in the blood was closely correlated with the amount of atherosclerosis in their arteries. Until recently, nearly every study done on cholesterol and heart disease and connected the two, as in the first created the second. Despite all the historical evidence, a recent spate of studies have concluded the opposite of the long-held tenet that cholesterol causes heart disease. One example is a study published in June, 2018 by Expert Review of Clinical Pharmacology that reviewed data from over one million people and concluded that LDL does not cause heart disease. This is in direct contradiction to the views of Dr. Roberts, most heart disease studies and an August, 2017 publication by the European Society of Cardiology stating that what used to be incontrovertible, that LDL does directly cause heart disease. The more you dig into the details of each perspective, LDL does vs doesn’t increase the chances of heart disease, the more befuddled you become. Those of you who want to dive into the deep waters can read Dr. Bret Scher’s summary, Does Cholesterol Cause Heart Disease?. I have and what I read doesn’t push me off the path I’m on, which is to tweak my diet in favor of plants and supplement with compounds that are proven to help reduce LDL, such as amla (Indian Gooseberries) and niacin. This, I figure, is the prudent thing to do, because I don’t have to take the chance that eating ultra-processed foods and overindulging in meat and dairy won’t impact my heart. Dietary cholesterol, found exclusively in animal-derived foods, especially eggs. By now you undoubtedly see a pattern emerging. The three boosters of bad cholesterol are from eating animal products and processed junk. This likely explains why populations living on traditional diets revolving around whole plant foods have largely remained free from the epidemic of heart disease. The average cholesterol for people living in the United States is higher than 150 mg/ dL; it hovers around 200 mg/ dL. If your blood test results came back with a total cholesterol of 200 mg/ dL, your physician might reassure you that your cholesterol is normal. But in a society where it’s normal to die of heart disease, having a “normal” cholesterol level is probably not a good thing. To become virtually heart-attack proof, you need to get your LDL cholesterol at least under 70 mg/ dL. Dr. Roberts noted that there are only two ways to do this for our population: to put more than a hundred million Americans on a lifetime of medications or to recommend they all eat a diet centered around whole plant foods. So, which is it for you: drugs or plants? As much as I want to believe that grass fed and organic / natural meats are the answer and that it’s only industrial meat that is causing the problem or the deadly combination of sugar / carbs with meat, I think I agree with your assessment that significantly more plants and fiber and significantly less meat is a healthier choice. I recently found this article very eye opening, because the guy in the article ate very similarly to how I currently eat. He changed his diet to something more like you are describing here for reasons unrelated to heart disease, with good results. I think it’s important to be able to consider new information, even if you don’t necessarily like it, and be willing to change your mind about the health benefits or potential harm of something. I appreciate your blog that you are always looking at new research like this and deciding whether or not to incorporate changes into your life, because that’s pretty similar to how I am doing it. I always enjoy your weekly updates. Keep up the great work! Could be fat in western diet. But equally you could substitute sugar in your arguments. Populations with low sugar intake have low incidence of heart desease. What about Inuit? High fat intake and low heart desease. The Masai? Might not even be diet. Could be stress or pollution or genetics or….